Every year, I write a letter to my daughter’s adoptive parents. Every year, I struggle with this letter. I opened last year’s with “I never know quite how to open these letters. They’re a little awkward, kind of scary, and incredibly emotional to write…and probably to read as well.” I wrote last year’s letter in late October (2016) and didn’t send it until April 2017 because my feet were so so cold. My daughter, Summer, was born in June of 2007 and left the hospital with her adoptive parents. Summer’s adoptive mother, Lisa, was there when she was born – I opted to give her the gift of experiencing the birth of her first child, in hopes that they would bond the way parents and children should. I even instructed the hospital staff to give Lisa the opportunity to hold Summer before anyone else did…even me. I know how deep and awful abandonment and attachment issues can be, and I wanted to do all I could to mitigate that for this new family and ensure that my child would end up in a family that loved her as their own. It was a relief that broke my heart. Seven years later, in October of 2014, I wrote my first real letter to Eric and Lisa. The kind you write with a pen on paper with lines on it and fold ever-so-particularly before shakily sliding it into an envelope (the third envelope you’ve prepared because the address you wrote on the first was “too sloppy” and you didn’t put the return address label on the second perfectly), affixing the stamp carefully to ensure everything looks crisp and perfect, then, filled with fear and distrust and sadness and hopefulness and hopelessness and dread and worry, then you drop it into a big blue USPS bin, unable to take it back or change your mind. Gone forever. Going to them. Going to a big beautiful house with my baby inside. My baby who will likely never know I wrote it. Going to a big beautiful house where they live, possibly (probably?) never to even be opened. Possibly (probably?) to be thrown directly into the recycling bin outside to ensure my baby never knows. Ah, but she’s not a baby. She’s a big girl now – she’s ten. My insides often feel like they’re going to explode from the pressure and the NEED to know who she is. Who is Summer? Who is this ten-year-old girl with her own thoughts and hopes and dreams and fears and worries? But I can’t know. And I can’t ask. And I can’t complain. I’ve been asking them to send a picture since 2014, and haven’t been graced with a single response. And I have no idea why. The agreement we had at the time Summer was born was that they would send me a family picture each year. That was all I asked for. [Insert an entire post’s worth of thoughts on that matter here.] One picture of their family. They sent me a CD of photos from the hospital a month or so after she was born and I haven’t seen a picture since (except for the time that girl I knew who went to church with them snapped a pic while tasked with watching her while they did deacon-y stuff on stage – that was lucky). They even confirmed our arrangement right after the finalization when I asked for more contact by telling me that they prayed on it and god showed them that our original contact agreement was right, and that I should rest assured that Summer would be loved and cared for. Oh, okay then. I’ll ask them again to send a picture in this year’s letter. I can’t remind them that they promised. I can’t tell them how it feels to lose a child this way and to be ignored by the only people who can grant the access I’m requesting. I can’t hound them or beg them or yell at them about how they promised or remind them that they told me god had told them they should honor the agreement they made. I can’t describe to them how I’ve changed in ten years or explain why including me in their lives, and in Summer’s life, would be a positive experience that would be healing and fulfilling for ALL of us. I can’t assert any power in the situation…because I don’t have any power. I went from being a lost and helpless 19-year-old pregnant girl to being a lost and helpless 29-year-old childless woman. Dismissed and forgotten as though I’m not important and didn’t make a family whole and didn’t make the ultimate sacrifice. As though I didn’t keep my promise. And despite the vast and incredible changes in my life and in my heart over the past ten years, I will always be lost and helpless in this situation. I will forever be powerless, and there’s not a thing I can do about it. Somehow, I wake up every day and I do my job and I live my life. I think of Summer a hundred times every day. I see her in everything; every story, every season, every week brings memories of her, a girl I don’t know and barely met. This is what it is to be a birthmother: to love someone who doesn’t even know you exist. And despite the knowledge that this 2017 letter will not bring me closer to resolution or contact or knowing what my daughter’s face looks like, I will still write it. I will still tell them I love them. I will still ask. Do you have a story about adoption or feeling like your voice isn’t heard? Share it in the comments – let’s work together to help ensure everyone has a voice! 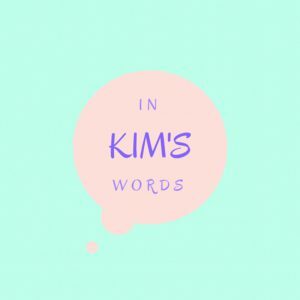 Subscribe to In Kim’s Words to keep up with the latest on my Dumb Letters.